Anna O'Brien leads a predictable and quiet life as a map librarian at the illustrious Library of Congress until she stumbles across the baffling mystery of a ship disappeared at sea. Thwarted in her attempts to uncover information, her determination outweighs her shyness, and she turns to a dashing congressman for help. Luke Callahan was one of the nation's most powerful congressmen before his promising career was shadowed in scandal. Eager to share in a new cause and intrigued by the winsome librarian, he joins forces with Anna to solve the mystery of the lost ship. 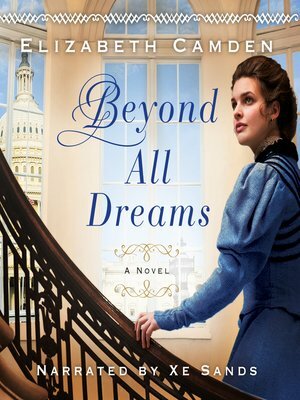 From the gilded halls of the Capitol, where powerful men shape the future of the nation, to the scholarly archives of the nation's finest library, Anna and Luke are soon embroiled in secrets much bigger and more perilous than they ever imagined. Is bringing the truth to light worth risking all they've ever dreamed for their futures?